Ledger died on January 22, 2008, 4 months shy of a charity trip to Africa with Elissa Sursara to speak on behalf on anti-poaching campaigners. 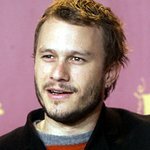 Heath Ledger has passed away, but we remember his charity work. Google trends for "Heath Ledger"
We don't have any videos related to Heath Ledger.